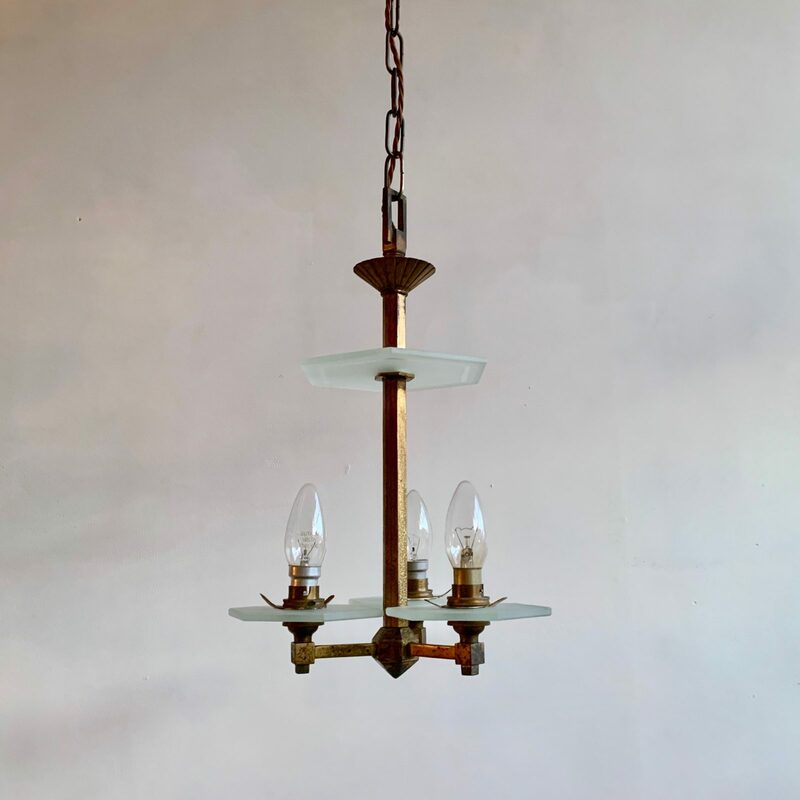 Petite 1930s Art Deco brass chandelier with hexagonal frosted glass pieces. This chandelier has three lamps. This piece was originally gilt that has aged leaving an off-black and gold patina. It has elegant proportions and would suit a hall way or small space.